Use the system menus, settings and tools provided in the CMS to help streamline your CMS duties. Links are provided if additional instructions are available. 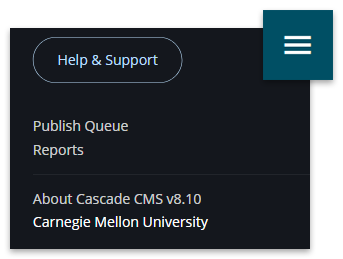 Start with CMS 101: Site Management for an overview of the primary system menu (Main Toolbar) in the CMS. 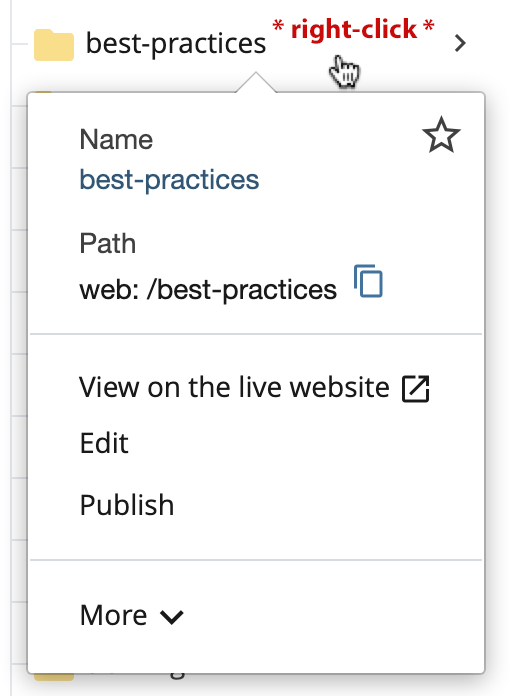 Provided below is a deeper dive into each system menu in the CMS. 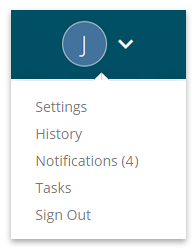 The User Menu is located in the Main Toolbar near the right and is represented by your first initial or a personalized photo. The Hamburger Menu is located in the Main Toolbar at the right and is represented by three horizontal lines. Note: Reports for Broken Links and Google Analytics Statistics are not functional; use alternate options for checking links and web analytics. Right-clicking on an asset in the asset tree opens the Context Menu with available actions. The Action Toolbar appears below the Main Toolbar at the right when an asset is selected. Tools are provided to perform various actions in the CMS. The Chooser tool slides into the CMS interface from the right and provides a method of selecting an asset. Whether it be adding an image to a page, linking to another page, or moving an asset to a new folder, the Chooser tool is used to complete the task. 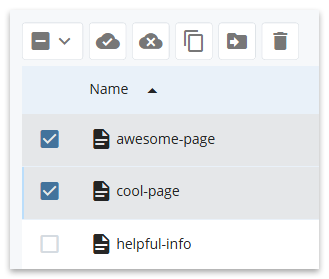 Browse allows you to browse for the asset starting at the base level of the site; clicking on a folder will display the contents of it, clicking on a page or file will select the asset. Use the breadcrumbs to navigate the structure of your site. Actions can be performed on multiple assets usings the batch tools provided. Publish - Push the assets to all publishing destinations available; do not use if you wish to select a specific server to publish to, such as the staging server only. Unpublish - Remove the assets from all publishing destinations available; do not use if you wish to select a specific server to unpublish from, such as the staging server only.